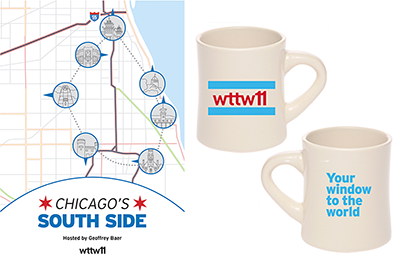 Take a tour around the city and the suburbs with WTTW’s Geoffrey Baer, expert on all things in and around Chicago. 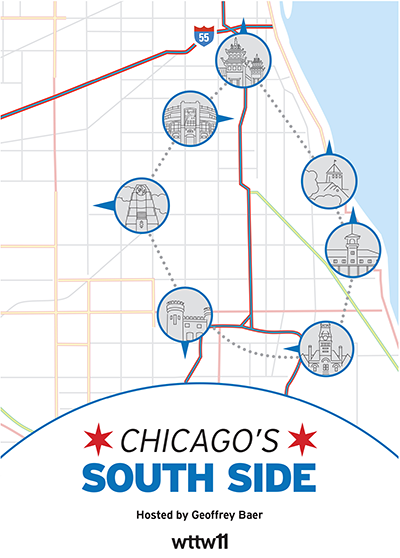 From the ‘L’ to the Chicago River, from the north suburbs to the south and everywhere in between, discover Chicago’s rich history, world-renowned architecture, and all the hidden surprises and stories along the way! 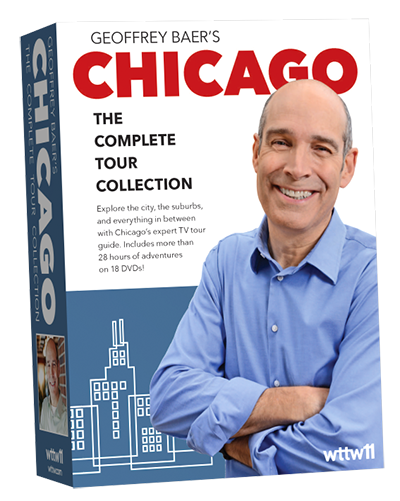 Includes more than 28 hours of adventures on 18 DVDs, a full color 20-page booklet with show descriptions and a special message from Geoffrey himself. 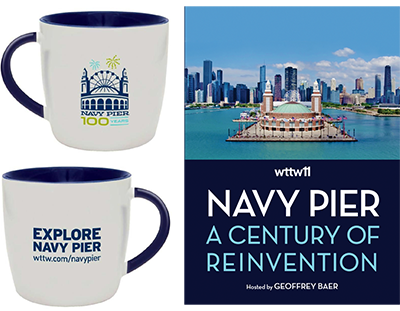 NOW INCLUDES: Chicago's South Side, Navy Pier: A Century of Reinvention, and the brand new The Chicago River Tour with Geoffrey Baer.